I made a garlic-chile infused olive oil over the weekend and used that in this stir fry recipe. 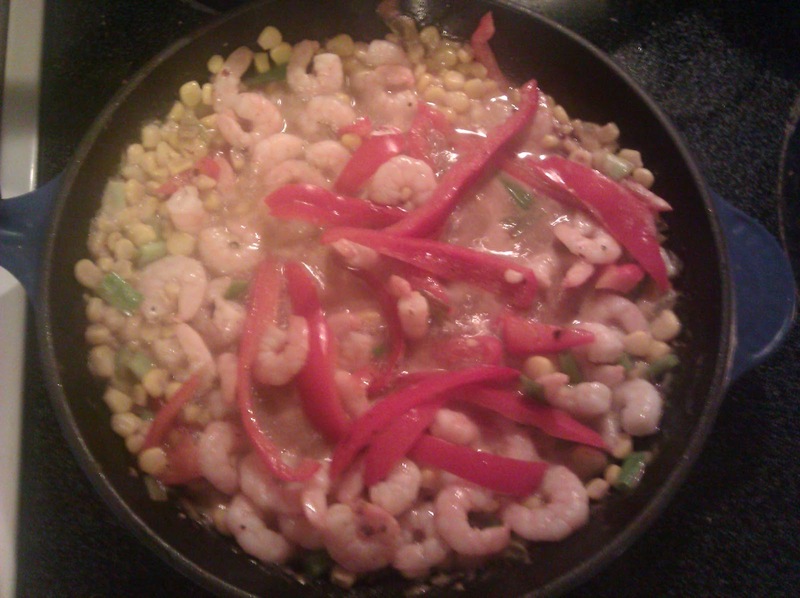 The shrimp was cooked perfectly and the vegetables still had a crunch to them. It was served over basmati rice.